How to Teach a Black Child: "That's Not my Name!" A big no...NO! One of your first tasks as a teacher is learning the correct spelling and pronunciation of all your students. You may only give students nicknames once relationships have been established and your students are actually 'feeling you like that'! Nick names can be a sign of endearment, but flying off the tongue of an adult who simply feels entitled and empowered to do so will not go over very well. Yes...yes....I understand your plight! The phonetic spelling of many names fail to match the actual pronunciation of the student's name. Still, the names of Black children are just as sacred as those Greek or Shakespearean ones that are canonized in literature and a sign of one's cultural literacy. 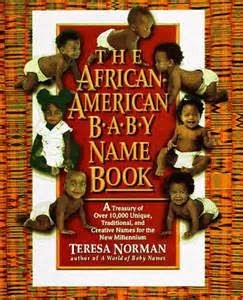 Therefore, honor black children's names by placing them on the same pedestal and simply asking them how to pronounce it without any correcting commentary about how the spelling does not agree with how the name sounds. The naming ceremony of almost every child is pretty special, but it is definitely an occasion for Black families. Now that we are entering October, many teachers have definitely figured out how to pronounce all their students' names. Therefore, may this post serve as a reminder just in case a new student named Kujichagulia enters your classroom! For that surely would have been the name of my baby girl had I made the choice to have one.